📅 February 2018 March 5, 2019 by Bruno B.
It’s one the gems of the Cyclades in Greek Islands. 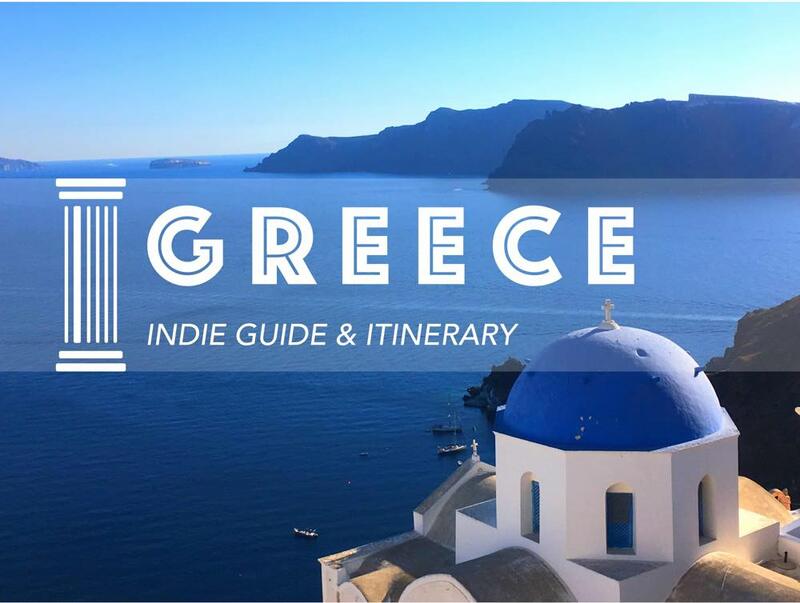 This full Koufonisia travel guide has got all you need to know about one of the most interesting getaways in your Greek island hopping trip. Tucked away between the massive heavy weights of tourism, Mykonos and Santorini, Koufonisia, it’s a tiny and remote island with some of the espetacular beaches and swimming spots in Europe. Or in other words, Koufonisia is an off the beaten track paradise, perfect to relax mind and body in a gorgeous Mediterranean setting. I’ve traveled to Koufonisia as part of a 2-week itinerary in Greece and I’ve updated it with the most up-to-date and reliable information for you to start planning your trip. Tips about how to get to the island, what to do, budget, and more. So even though we’re technically refering to 3 islands, everyone uses the term Koufonisia to describe Pano Koufonissi. I’ll do the same. From now on, Koufonisia = Pano Koufonissi. Koufonisia has managed to escape through the rain drops and live on the shadows of its intimidating neighbours Mykonos, Naxos and Santorini. Here’s my Koufonisia map with the main beaches, sights and restaurants to get you started. Koufonisia is a VERY quiet and tranquil place. The rhythm here is different and might take a day or two to adapt. There’s isn’t much going and the main places of interest are located in the south and east coasts of the island. But that’s exactly people go there. No crazy nightclubs, “international” restaurants or posh fashion bloggers in their neon dresses on the quest for their next Instagram hit. It’s perfect for a romantic getaway or a off-the-grid kind of vacation. The land is arid and rocky all around the island. Along the coast, rocky inlets provide small refugees for a perfect day of relaxing and sunbathing. The few low-key beach bars of the island provide just what you need to keep it going: shade, inexpensive typical Greek food and frappé, the typical coffee-based drink that seems to go well with any moment in this country. There’s only about 400 people living in Koufonisia, almost all with a strong fishing heritage. Koufonisia owns the largest fishing fleet in Greece in proportion to their population. The island doesn’t have a functional airport, and the closest one is located in the neighboring island of Naxos, which receives mostly domestic flights. So the only way to get to Koufonisia is by ferry. There wasn’t a direct ferry to the island until about some years ago, but fortunately for us things have changed by now. There are frequent connections from other islands in the Cyclades – Santorini, Naxos, Amargos and Mykonos. You can also hop on a high-speed ship from Piraeus port, in Athens. From what I could experience, ferries in Greece worked pretty well and some of them are enjoyable experiences. Don’t expect any luxury, but hit the outdoor deck and enjoy the sea breeze. You’ll be fine. If you plan to visit the Greek islands for winter holidays, the good news is that there are ferries operating all year round. That said, some schedules and ferry connections stop after the middle starting from October and most ferries depart from Piraeus port. Bought my tickets online via Ferries in Greece, with a couple weeks in advance. I arrived Koufonisia coming on a SeaJets ferry from Santorini-Thira port. The ferry did a couple of quick stops along the way – in Amorgos island – which actually was quite pleasant as the views are beautiful. Online SeaJets reviews talk about the constant delays and how they treat people like “cattle”. Maybe I was lucky but I feel it was pretty decent. While it was not by any means a luxury experience, the seats were comfortable and it even got on time to the destination. Can’t complain! We went to Mykonos after Koufonisia and while there is also a SeaJets ferry, we decided to take a 2 leg-journey with a stop in Naxos. For the Koufonisia-Naxos leg, we hopped on one of the last journeys of the Express Skopelitis, a famous ferry that served the islands of the Small Cyclades for centuries. It’s no longer in operation. With average temperatures of 20C and higher, anywhere between May and October is a good time to visit Koufonisia. If you’re looking for hot beach weather, the best season would be starting slightly later, from June. 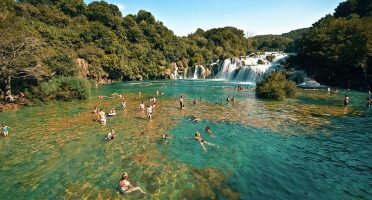 However like in most Europe, the peak summer months – July and August – bring herds of visitors. I imagine in these months the local-tourist ratio can reach uncomfortable levels. To be fair, with 400 locals, any small increase in tourism feels unreasonable. I visited Koufonisia in early September. The temperatures were pretty high (30C+) during the day, but balanced by a light breeze at night. For the 5 days we stayed there, we could hardly see a cloud. The island didn’t feel crowded, but maybe it was because we did arrive from a crazy busy Santorini. People tend to gather around beaches with infrastructure nearby (bars, restaurants) and more remote small coves and bays were almost desert. Koufonisia is so tiny you could technically walk around the island in a single day (don’t do that though, it can get too hot). You most definitely don’t need a car here. Most travelers arrive in Koufonisia Port and from there to most hotels in town is a short walk. Our hotel had a funny 30-second ride transfer included. We rented a bike for one of the days to explore the rest of the island, but some of the hills proved hard to conquer, specially on the west of Koufonisia town. My advice: make sure you get a good bike. Rent a motorbike or quad bike. These seem to be pretty common in the Cyclades, but in Koufonisia is hard to find. Prices start at 20EUR/day. Rent a bike. We got quoted anywhere between 3-7 EUR/day. Boat. There is a daily service connecting the main port and some strategic beach stops of the island all the way to Pori Beach. I can’t imagine someone heading to Koufonisia and not thinking of hitting the beaches. Beaches there are some amongst the most dreamy you can find in Europe, including naturist ones. 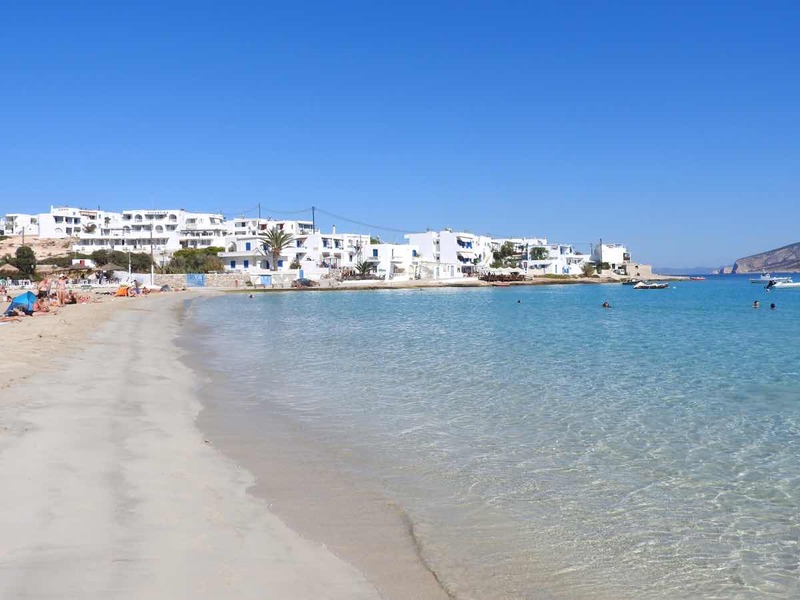 Compared to Mykonos or Santorini, beaches here are NOT organized (fortunately) so you don’t need to pay for sun-beds to secure your spot. Just bring your umbrella and choose your favorite place. Usually the first point of contact with the island, since it is right next to the port. This is where you usually get impressed with the vibrant turquoise color of the water. The traditionally Greek white-and-blue houses and the many fishing boats floating around create a postcard scenery. But believe it or not, this is actually the least paradisiac of the beaches in Koufonisia. 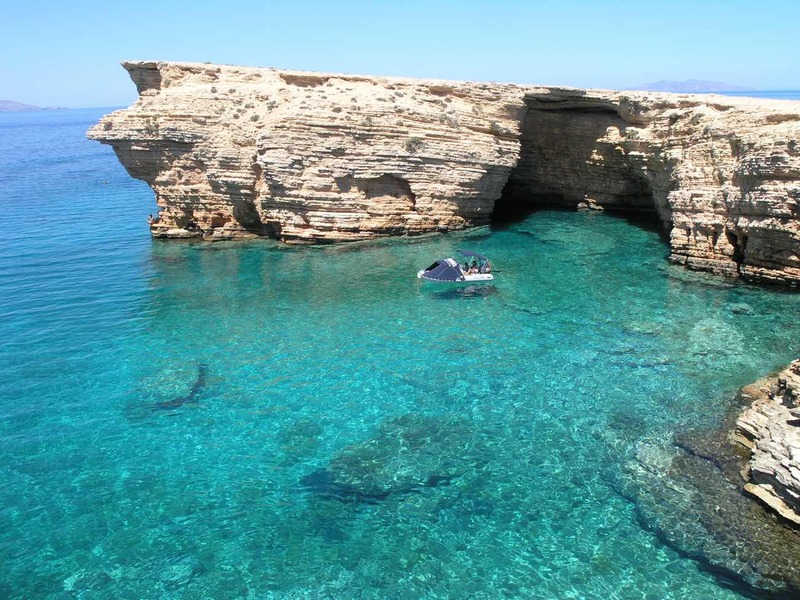 About 3,5km northeast of the Chora (main town) this is one of the best in the island. 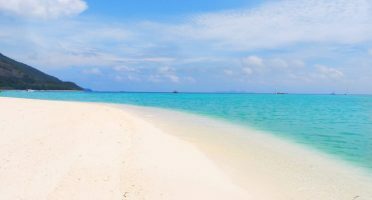 Shallow crystal clear waters and a strip of moon-shaped soft sand. It’s a safe bet for a beach day trip. Sandy small beach, about 1,5km east of Chora. There’s a (great!) restaurant and beach bar nearby as well as some coves and bays to explore. Great views overlooking Kato Koufonissi island. Also called Charokopou, this beach is very close to Fanos and it’s still in a walking distance from Chora. It’s a long, sandy beach with unreal water. Boasting both sandy and rocky sections, this is the most frequented beach of the island. Again, crystal clear water awaits you. Also known as Italida Beach. Nero Beach, the best beach in Kato Koufonissi island. There are boat trips heading here from Koufonisia (Chora). Gala Beach, a super small pebbled beach enclosed by cliffs. The name means milk in Greek and it comes from the waves bursting onto the rocks. Caves (before Pori), if you fancy a rocky swim, try these small narrow gulfs with openings on the rocks. 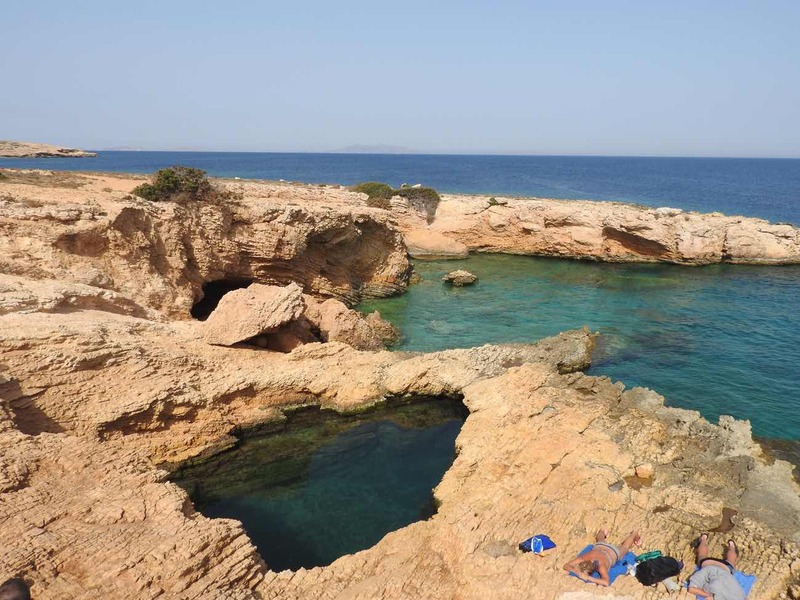 People just jump from several rocks into the sea and the Pisina area is specially popular. Impressive water color! The rocky scenery in Koufonisia. Got to be honest here and say there isn’t any particularly exciting sight or attraction to see. There’s not much to do either apart from working on your tan. That’s fine, that’s actually the dream vacation for many. To be fair, the dolce far niente is one of the best things Koufonisia has to offer! Still, if you get tired of the beachy life and need some dynamic stuff going on, here are some suggestions to keep yourself busy. The main town of Koufonisia is a tiny fraction of what you can find in the neighbour islands. Don’t expect many clothing or souvenir shops. In fact don’t expect many shops at all, just the bare essentials. That said, it’s a fine example of architecture in the Cyclades. Whitewashed houses with vibrant blue windows and doors, cobblestone streets, flowered courtyards and blue domes, it’s all there! It’s worth to walk around the streets of Chora, both during the day and the night when a charming island ambiance takes over. Symbols of a past where cereal production was a key part of the life in Koufonisia, there are 2 scenic windmills in the island. One is right next to the port (pro tip: go there for amazing sunset views!) and the other one is in Loutro, next to the shipyard area. Hop on a bike or hike until the other side for a full-rounded experience. Pori bay is a great spot for windsurfing. When you’re at the beach, swim a bit farther away and explore the underwater world as well. Visibility for snorkeling is quite good next to rocky cliffs and pebbled coves. There’s always the option of escaping for a day to the island of Kato Koufonissi. Boats start departing early morning from Koufonisia‘s main port until about 11pm every day in summer months. 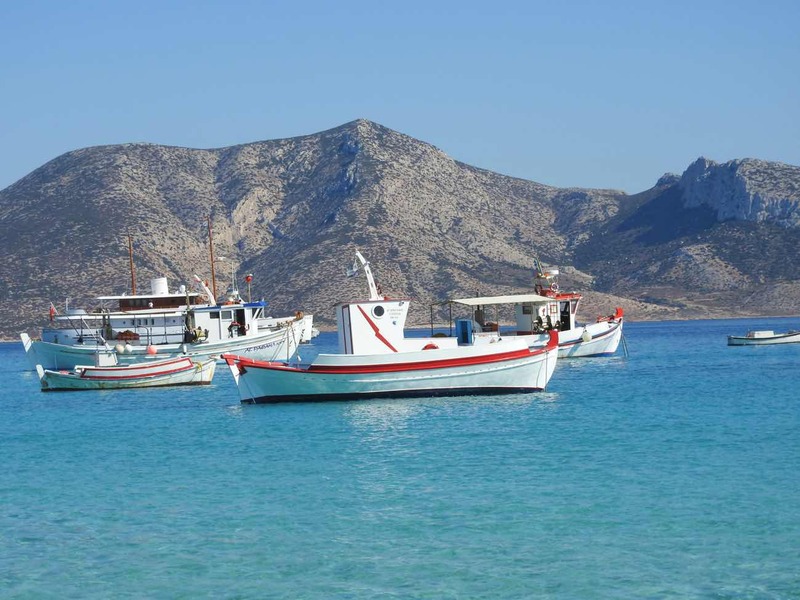 Take advantage of the boat to leave you in the island’s main beach, Nero Beach, and/or explore the other beaches in the island: Detis and Laki. Before heading back, have lunch or dinner at the famous Venetsanos tavern, one of the best food experiences in the whole Cyclades. Accommodation options are scarce in Koufonisia. For one, this means you should expect overpriced rooms for the quality they offer. Basic demand-offer law, especially true during summer. Secondly, if you’re coming during summer – late June to late August – is very important you book as much as in advance as possible. The possibility all hotels get sold out is real. 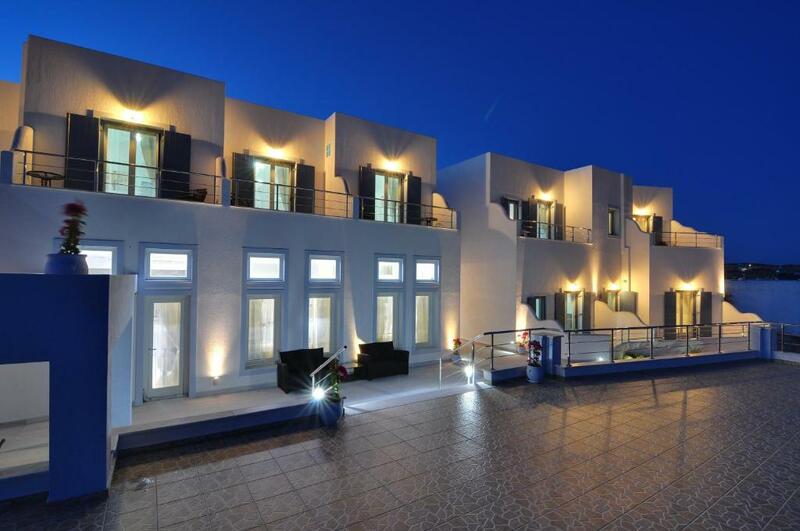 There are about 20 different options for accommodation in Koufonisia with free WiFi and 8+ rating on Booking. Out of these, only 2 of them are outside Chora (main town). Without any 4 or 5-star accommodation in Koufonisia, I can highly recommend the place I stayed (below). Feel free to search for other options for your stay below. There are only about 20-30 restaurants in Koufonisia. Not much, but the good news is they are almost all good quality restaurants, Greek-taverna style. More than 30 fishing boats go out daily from the island so it’s relatively easy to find a place to taste the catch of the day. Here are my top restaurants on the island. My favorite eating spot in Koufonisia. Small restaurant with a line of small tables along a small paved path right next to the sea. By night you can have a romantic meal by the stars with the sea literally at your feet. There are cheaper places to eat in the island, but this magical setting makes it worth the extra. Off the beaten path restaurant in an off the beaten path island. Located in sort of a farm, this restaurant serves locally grown food. Come here for the excellent meat, especially lamb and goat (from Keros), and the cheese specialties from Amargos. Reasonable prices and big portions. Pro tip: sit outside for the full experience! Do you enjoy hole-in-the-wall places when you travel? Well this is exactly that: a hole. In a wall. And it happens to serve the best souvlaki of the island. Order your pitas with gyros or souvlaki from the little window and sit in one of the small tables right there, on the street. All for less than 4 euros. Hard to get more local than this. There are more good restaurants such as Capetan Nikolas (great seafood), Kalofeggo (scenically located on Pori Beach) and Fanos Beach Bar (decent lunch menus and for me, the best frappé in the island). These are all highlighted on my Koufonisia island map. Food in Koufonisia is very much based in local products which makes it delicious. Seriously. Apart from the fresh seafood options, there’s the typically Greek souvlaki and tzatziki and other local meat-based specialties are available. 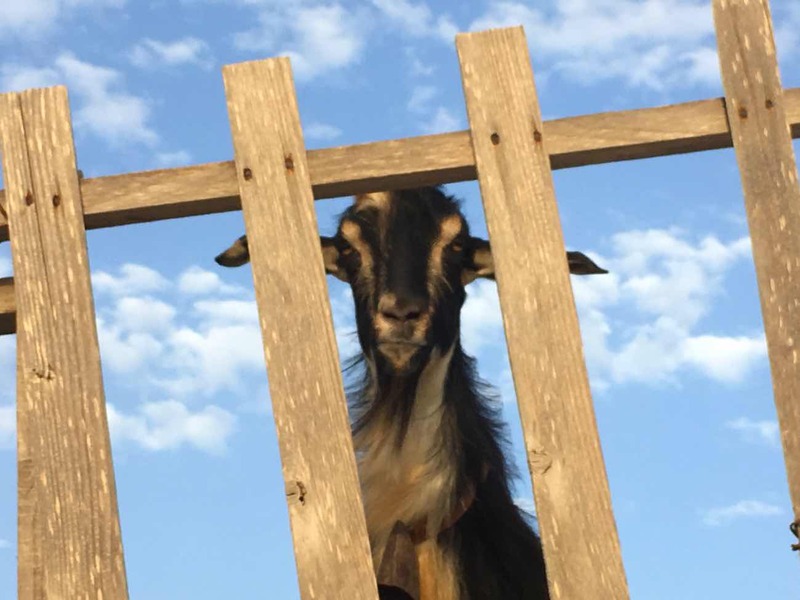 The wild goat from Keros island is particularly appreciated here, as well as xerotigana (pork on the spit) and pasteli (a pastry made of sesame and honey). Regarding drinks, try the traditional rakomelo: a super sweet alcoholic drink made with cinnamon, honey and raki (Greek white spirit, similar to vodka). And hey, you’re in Greece, so an iced frappé always goes well with the relaxed mood of the island. Due to its remoteness, I was expecting Koufonisia to be a much more expensive place than it actually was. The only exception was the accommodation which felt a bit overpriced compared to other places in Greece. To give you a good idea of the budget you can expect, I’ll give you some examples of cost of things. The prices are up-to-date at the date of writing of this article. Transportation: The total cost for the ferries (Santorini-Koufonisia and Koufonisia-Naxos-Mykonos) was about 70 EUR/person. Vehicle rentals: motorbikes can be rented from 20-25 euros per day. Bikes from 4-5 euros. but just because we wanted to visit the best restaurants in the island! The best frappés I had in my life were in Koufonisia and I never paid more than 3 euros for one. Water: don’t forget to hydrate! A big water bottle (1,5L) is around 0,60 euros. Accommodation: this one is hard because we were 4, which always tends to lower the total cost per person. I’d say you can expect to pay somewhere between 45 and 60 euros per day for an average double room in most places in Koufonisia. There isn’t many accommodation available, so I imagine prices go up a lot in summer months. If you’re traveling with more people, you can get around with less than 50-60 euros per day in Koufonisia. If you’re traveling alone, raise that budget to about 70-80 euros/day. These are average prices: not a backpacker budget, but not luxury either. Seriously, the island is so tiny the hotels fill up quickly. 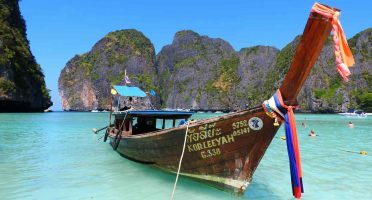 If you come without a hotel booked during the warm months, you risk to pay an absurd amount of money. Start here. Don’t play games with the sun. Temperatures are high in Koufonisia and there is hardly any shade. The hot sun takes it toll during summer. Hydrate yourself regularly and bring plenty of sunscreen. Boats connecting the main port and Pori Beach passes very close to the coast, so be careful when swimming away from the beach. Also on Ammos Beach, next to the main port, don’t put your stuff too close to the sea. There are considerable-sized boats coming and going which creates mini-tsunamis on the nearby shore. If possible, come at the right time of the year. The Festival of the Fishermen takes place on the last weekend of June. Includes fish mezzes, free wine and local shows and parties. Locals say it’s the best time to come! I can safely say Koufonisia was my favorite Greek island. It’s not pretentious as Mykonos or busy as Santorini and it’s even nowhere near the level of infrastructure of Naxos or Paros. After visiting all of those, it felt like going back to the basics. Somehow, a detox. Koufonisia looks and feels completely different from the standard idea of a trip to Greek islands. I realized people going there seek three things the island excels at: sun, remoteness and sea. It reminded me of some places in Brac, Croatia and in many ways, I see it as the Koh Lipe of Europe. So if you are looking for a beach getaway destination to forget all your problems, this is it. Have you been to Koufonisia already? Let me know your experience in Koufonisia and other islands in Greece!